Background/Purpose: Incomplete lupus (ILE) is defined as a condition in which patients present with signs of systemic autoimmunity and clinical manifestations compatible with systemic lupus erythematosus (SLE) but do not fulfill the American College of Rheumatology (ACR) classification criteria. Some of these individuals may transition to classified SLE or another systemic autoimmune rheumatic disease; however, many will remain ILE patients without major organ involvement. Differentiating between these groups is clinically challenging and better clinical, demographic and molecular biomarkers which define ILE patients would be clinically helpful and would also allow better identification of high-risk individuals for prevention trials or for closer monitoring. Methods: For this analysis, we examined participants enrolled to the Lupus Family Registry and Repository (LFRR). Medical records were reviewed to assess for ACR SLE classification criteria and medications; individuals who met only 3 ACR classification criteria were designated as ILE for this study (n=443). Additionally, each participant completed connective tissue screening questionnaires (CSQ), detailed clinical questionnaires, demographic and therapeutic information. Autoantibody testing for ANA with titer/pattern, anti-dsDNA by IIF, anti-cardiolipin (aCL), and autoantibodies against Ro, La, Sm, nRNP and ribosomal P by precipitin, ELISA or by multiplexed assay were also measured. Results: In this cohort, individuals with ILE (n=443) were most commonly European-American or African-American females on average 46.0 ± 13.9 years of age with an average CSQ score of 6.03 ± 2.39. 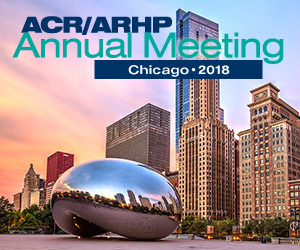 Among the 443 individuals meeting 3 ACR classification criteria, 311 (70%) never took an immunomodulating drug (methotrexate, azathioprine, hydroxychloroquine/ chloroquine, corticosteroids) and 375 (85%) never took a major immunosuppressant (cyclophosphamide, mycophenolate mofetil, cyclosporine, biologic). The most prevalent ACR classification criteria that ILE individuals presented with were ANA (97.2%), immunologic criteria (62.3%), arthritis (44.2%), photosensitivity (24.6%), and hematologic criteria (25.3%). aCL (46.5%), anti-dsDNA antibodies (27.3%), leukopenia (14.6%), and lymphopenia (12.4%) were the most prevalent ACR sub-criteria present. When 13 autoantibodies were examined using a high-throughput multiplex assay, anti-chromatin (34.5%), anti-Ro (27.7%), anti-RNP (24.3%), anti-Sm/RNP (20.9%), anti-dsDNA (14.9%), and anti-Sm antibodies (11.5%) were the most prevalent autoantibodies. Conclusion: Large numbers of individuals with ILE can be identified and their clinical presentation is characterized by immunologic and hematologic findings, as well as arthritis and cutaneous disease. Multiple lupus-associated autoantibodies are enriched in these patients. Longitudinal studies are warranted to better understand the individuals at the highest risk of transition to systemic autoimmune rheumatic disease, as well as to understand the biologic processes which help prevent individuals from progressing to major organ involvement.